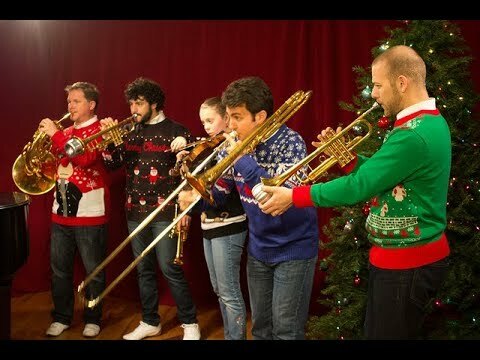 Trio Giocoso appeared in our 2017 See the Music video, You’re a Mean One, Mr. Grinch, with the renowned Canadian Brass! Trio Giocoso performed on Show 346, recorded on October 1, 2017. 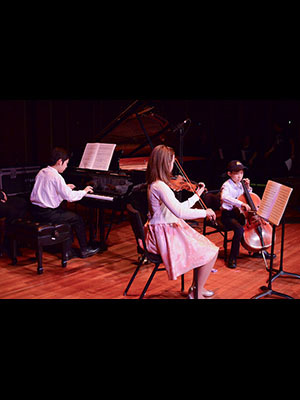 Bio from Show 347: Trio Giocoso is comprised of Eleanor Markey (violin), 12, from Wayland, Massachusetts; Oan Woo Park (cello), 10, originally from New York, New York and now living in Arlington, Massachusetts; and Hyeonuk Park (piano), 12, originally from Daegu, South Korea and now living in Chestnut Hill, Massachusetts. They are all students at the New England Conservatory Preparatory School where they are coached by Laura Blustein.